A mountain bike, an eagle feather and a stuffed moose. These are some of the items that give students strength when times get tough. 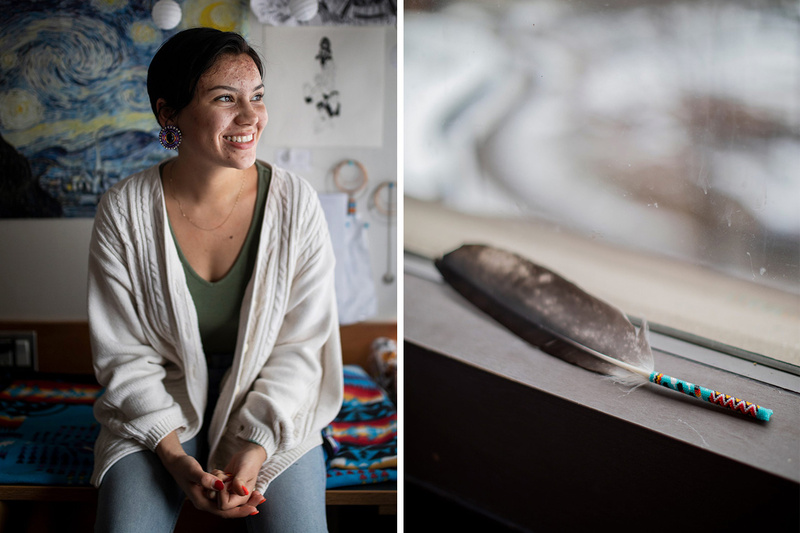 Seven students who came to Toronto for university described precious keepsakes for a story in University of Toronto Magazine's digital issue on resilience. Providence Mapingire, a first-year student of economics at Woodsworth College who hails from Gweru, Zimbabwe, cherishes a pair of shorts made by his aunt. “My aunt made me these shorts before I left Zimbabwe and she surprised me with them at the airport,” he says.